Imphal: The Congress party today asked Manipur Governor Professor Jagdish Mukhi to invite the Congress party to form the government in Manipur.An eight member delegation of Congress MLAs led by three time Chief Minister, leader of the Congress Legislature Party, Okram Ibobi Singh , former Dy CM, Gaikhangam, former Speaker Th Lokeshore went to Raj Bhawan and met the Governor. The reactions of the Governor was not immediately known . The Congress delegation informed the Governor that in Karnataka the Governor inviting the BJP to form the government as BJP was the single largest party. In the elections held last year Congress won 28 seats out of 60 while BJP won while BJP won 21 seats. Governor Dr Najma Heptulla invited the BJP to form the government . 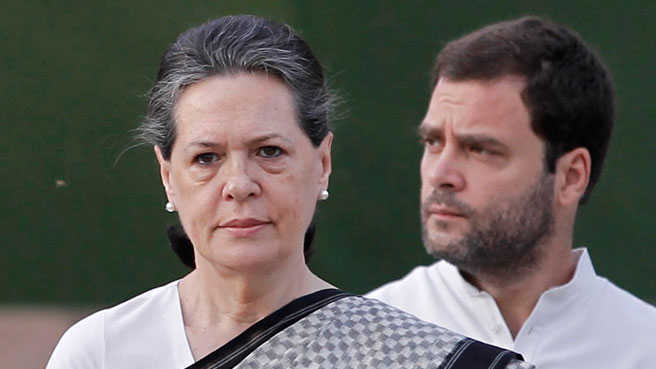 Congress alleged that in earlier instances even though Congress emerged as the single largest party the BJP was invited to form the government by the Governors of the respective states at Manipur, Goa, Meghalaya. Ibobi said the same rule of inviting the single largest party should apply in Manipur also. Congress workers also staged protest in front of the Congress office. The Congress workers alleged that the BJP was involved in horse trading destroying the fabric of democracy. Danish Rizwan and CPI (ML) MLA Satyadeo Ram.RJD with 80 MLAs is the single largest party in the state assembly, Congress 27 MLAs, CPI (ML) 3 MLAs and HAM one MLA in 243 member state assembly. Mr Yadav staked claim to form a new government by his party after BJP formed the government in Karnataka by taking plea of it being the single largest party.Mr Yadav told newspersons that he met state governor Satya Pal Malik demanding dissolution of the state assembly and giving his party an opportunity to form an alternative government as it was the single largest party in the state. He claimed that if given a chance, RJD along with its allies would clear the floor test as his party was in touch with 'disgruntled' MLAs of Chief Minister Nitish Kumar led JD (U). Karnataka elections LIVE : Know election results in real time!